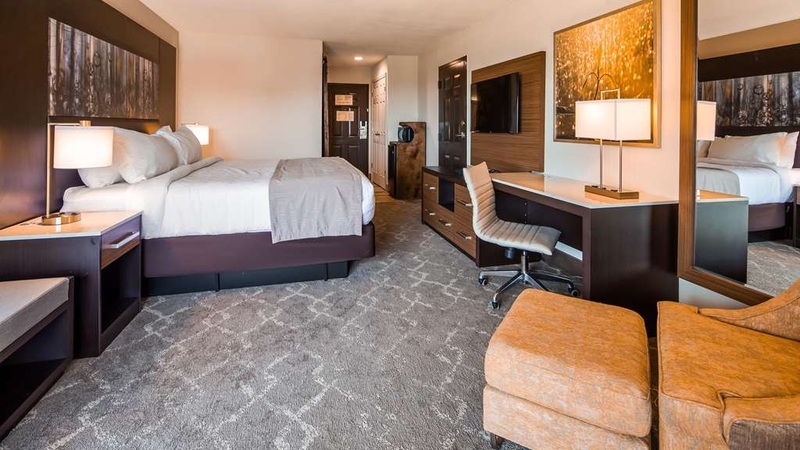 Das Best Western Warm Springs Hotel and Event Center ist ideal in Warm Springs Stadtzentrum zu finden. Erleben Sie ein schöner Aufenthalt in der Nähe von alle Sehenswurdigkeiten. Bestpreisgarantie und exklusive Angebote. 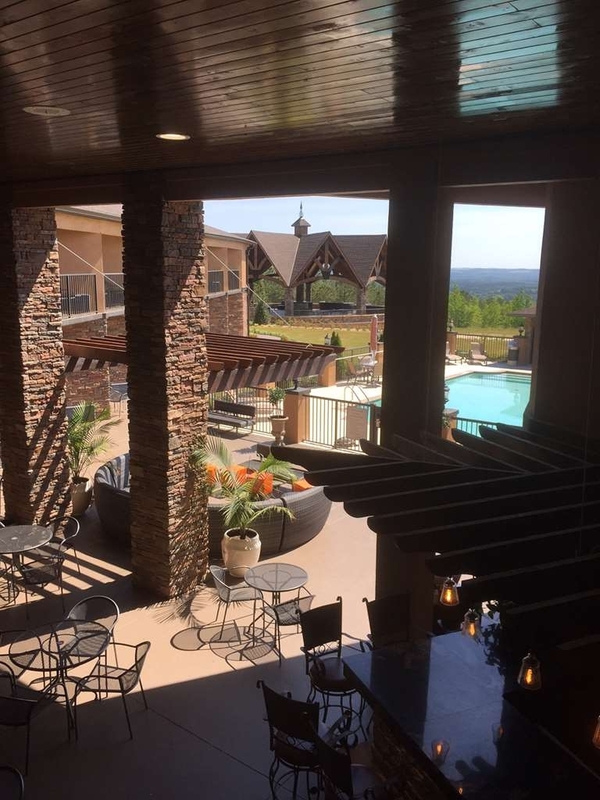 Genießen Sie eine Pause von Ihrer langen Reise und buchen Sie im Best Western Warm Springs Hotel and Event Center, nur eine Stunde südlich von Atlanta. Von unserem schönen, neu erbauten Hotel bietet sich ein Blick auf die Hügel und Täler der Countys Meriwether und Talbot in Georgia. 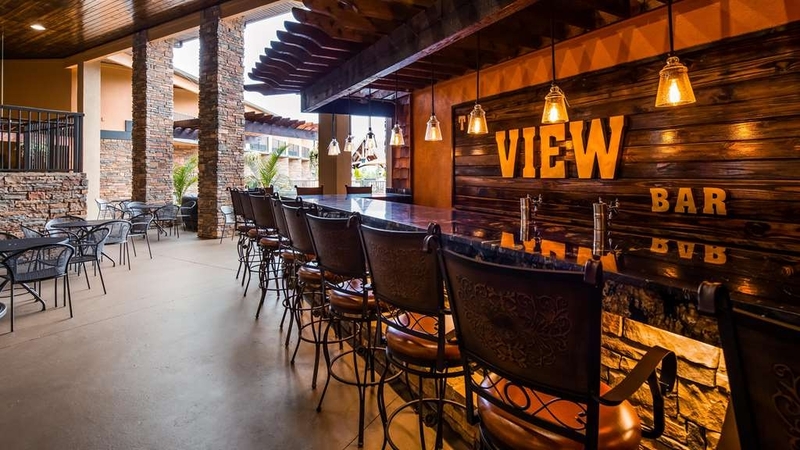 Das „View Restaurant, Café and Bar“ serviert zu jeder Jahreszeit beliebte Speisen für die Seele (für den großen und kleinen Hunger), perfekt kombiniert mit einem kühlen Getränk von unserer voll ausgestatteten Bar im Freien. Probieren Sie unsere Cocktailspezialitäten, oder bitten Sie unseren Barkeeper, ein besonderes Getränk nur für Sie zu mixen. Gönnen Sie sich eine Auszeit an der Feuerstelle, und schauen Sie dem Spiel der Flammen zu, oder entspannen Sie in unseren Zimmern mit Terrasse am Pool auf Ihrem eigenen Balkon mit atemberaubendem Blick auf die Berge. Dort können Sie sich am Ende des Abends oder auch mitten am Nachmittag auf Ihre Matratze mit extragepolsterter Auflage und gemütlichen und weichen Decken zurückziehen. Jedes Zimmer verfügt über einen Kühlschrank, eine Mikrowelle, eine Kaffeemaschine, einen Safe, High-Speed-Internet, Kabelfernsehen und eine luxuriöse Ausstattung. Unser Pavillon Event Center eignet sich perfekt für Hochzeiten, Familienfeiern und Geschäftstreffen. Die saubere Bergluft fördert klares Denken und erleichtert die Konzentration bei Tagungen. Die malerischen Berge bilden eine prächtige Kulisse für Hochzeiten, Klassen- und Familientreffen – einfach jede erdenkliche Veranstaltung. Wenn verfügbar, ist dies der perfekte Ort für romantische Abendessen mit Bergblick. In Warm Springs finden Sie eine Vielzahl von Tante-Emma-Läden, Antiquitätengeschäften und Restaurants, zum Beispiel das Bulloch House, Mac's BBQ, Lightning Bugs Bistro und Dinner’s Ready by Chad. Der FDR State Park, nur einen Steinwurf entfernt von unserem Hotel, bietet zahlreiche Wander-/Radwege, auf denen Baumlücken den Blick freigeben auf Pine Mountain, drei Wasserfälle und eine kurvenreiche Straße für alle, die gerade Strecken langweilig finden. Wir sind nur 20 Minuten entfernt von der City of Pine Mountain. Hier finden Sie Callaway Gardens, Wild Life Animal Safari, Butts Mill Farm und zahlreiche kleinstädtische Geschäfte, in denen verborgene Schätze darauf warten, von Ihnen entdeckt zu werden. We decided to take a spur of the moment trip to Warm Springs just for the night and we highly recommend this place! 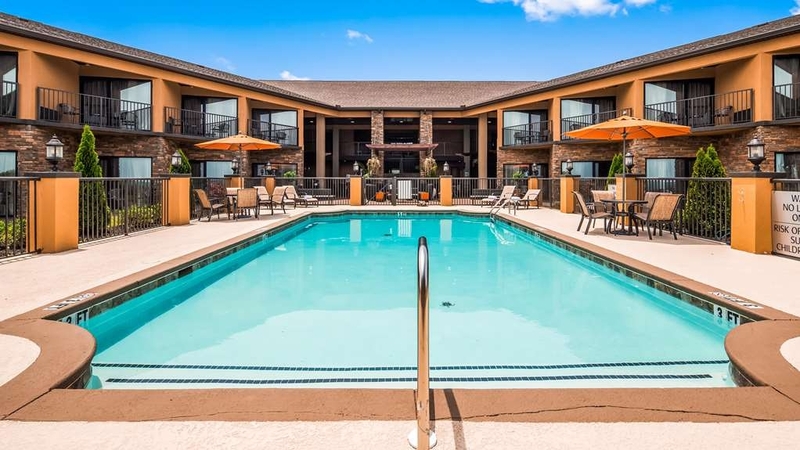 It's so pretty and new and the staff Ashley was very personable and we will definitely be back to stay in the summer for the pool!! 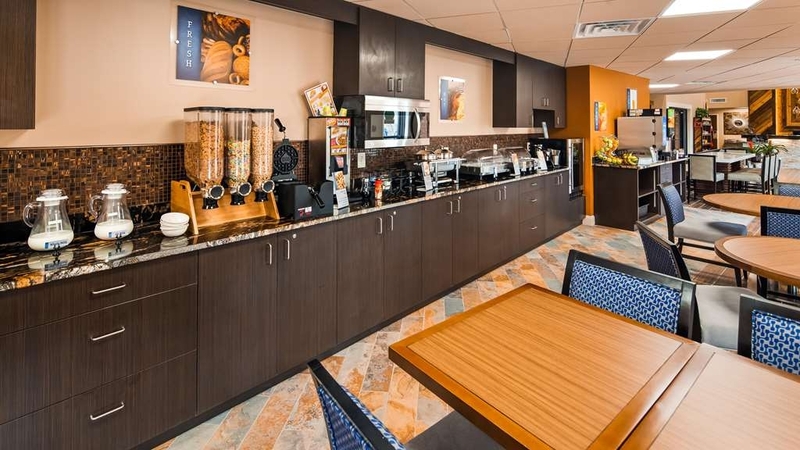 This is a top quality Best Western and you will not be disappointed. Rooms are well decorated had two queen beds very comfortable. Would have given it 5 stars but some of the amenities were not accessible, pool not heated no hot tub fire pit not working. This is a nice motel. Very Clean and comfortable. Friendly staff. Nice view of the area. Nice selection of items for breakfast including eggs, biscuits, gravy, cereal, waffles, grits. Juice, Coffee, milk etc. Will stay again if in the area. Great people at a nice hotel. Great outside area to relax after work. The outside area has a beauiful view of the mountains. The open bar and resturant area was nice but got a little cold on the night I was there. A beautiful setting in a part of Georgia we had never seen despite having visited other areas over the years. The staff was very professional and helpful - especially Mina AShely who answered our questions about the hotel, the community and the area. Such a fine young woman with a family, too - Wow! Hope we can stay there again someday. My husband and I needed a short get away for the weekend. This hotel sits on top of a mountain with beautiful scenic views. We watched the deer graze outside of our hotel room. Quite and peaceful. Will stay there again. "I am hopeful it is better during peak season"
We chose this particular hotel for the amenities and proximity to the event we were attending. Unfortunately when we arrived, we found out that since it was their slow season, the amenities (bar and restaurant) were not working at full capacity. Being in a remote location on a mountain, we wanted a hotel that we wouldn't have to drive to eat or have drinks. Unfortunately we found ourselves having to drive to a neighboring town to go to the grocery store. There was only one person on shift each night to cover the bar (beer and wine only), front desk, and "restaurant" (pre made foods only). We were not aware that none of the rooms had bathtubs. Although, I understand that showers are more sanitary, that to me makes it not a family friendly establishment for people with young children. The staff, however was very accommodating, friendly, professional and kind. Had they been adequately staffed with all amenities at full operation, I would imagine our stay would have been very enjoyable. I spoke with a couple of the other guests who also booked based on those things and were disappointed as well. Beautiful hotel and very friendly staff. Would recommend and stay again! Breakfast was great and the room was spotless! Beautiful and quiet location perfect for a weekend away. It exceeded our expectations in every way. I am so happy to see this hotel restored and reopened. I stayed there on two occasions prior to the storm that ravaged it. I am eager to stay there again on my next visit to see my 90 year young Father who lives in Manchester GA.
"One night stay for Valentines. A surprise for my wife." Ashley and staff made a great suggestion with the bed in our room, set up with the heart shaped rose petals and chocolates. My wife was very surprised on our arrival. The accommodations were great. The property has a great view with dear browsing the area as you sit and relax. Beautiful pool, pavilion and burn pit. A very accommodating place for events such as weddings and family reunions etc. We had a one night stay on our way to visit family. The lobby and bar area are very attractive. Our room was also attractive and very comfortable. Felicia and Ashley provides excellent service from acting at the reception desk to cooking and serving meals. All with a smile! Perhaps because this is their off season, the restaurant had a very limited menu and most of the restaurants in town closed early. The only down side to our stay there. Thank you so much for taking out the time to write such a kind review. We are delighted to know that you enjoyed your stay! Our team works hard to provide an exceptional experience for all our guests. We apologize that the menu was not to your liking, we will look into expanding our menu. Thank you for choosing our hotel and we hope to see you again! Ashley and the rest of the staff are the most personable, pleasant, and accommodating hotel staff I have worked with. 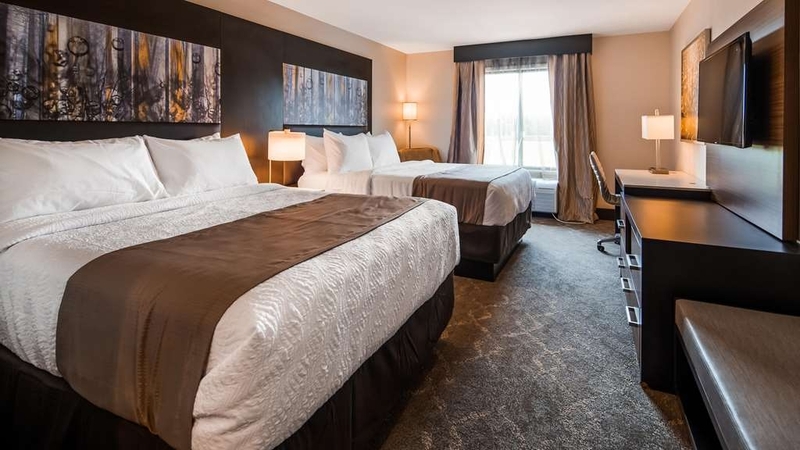 The hotel is recently renovated and well-cared for. The morning view is fantastic! Since I have stayed here for work and come in late sometimes, the staff will serve dinner after the rest of the town's restaurants have long closed. 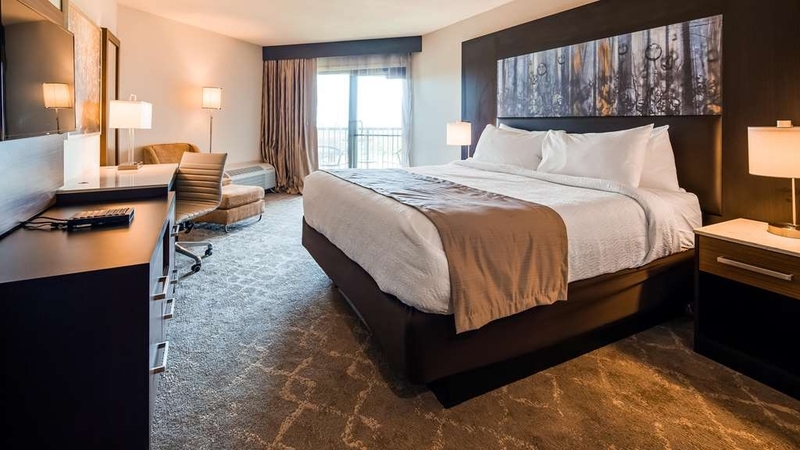 I would recommend this hotel to all types: business travelers like myself, or vacationers looking to enjoy a peaceful stay and town with close proximity to Callaway Gardens and FDR's Little White House. Alex, Thank you for taking out the time to write such a kind review about our hotel. Here at Warm Springs Best Western Hotel, we strive to provide an exceptional experience for all our guests and we are happy to know that we exceeded your expectations! Thank you for choosing our hotel for your stay and we look forward to hosting you on your next trip. This is a brand new property that is top notch. I highly recommend this property as it is well planned and offers many extras in terms of decor and has a fire pit on the property. Everything is new and the staff is friendly and attentive. The property sits on a ridge and offers wonderful views. 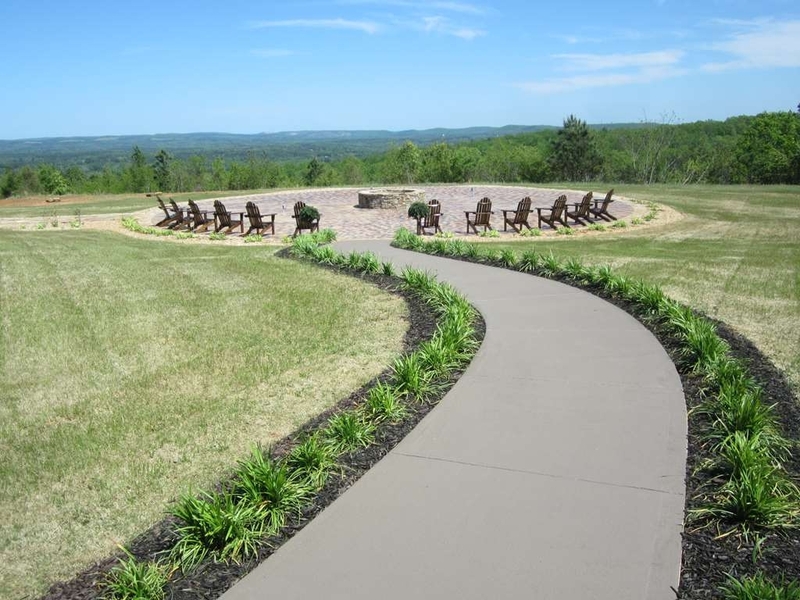 You will see deer grazing on the property, sit and relax while enjoying the views. HI! Thank You for your kind words, We also love watching the deer graze and so glad you also got to see the beauty in such a great hotel. We here at Best Western strive to make each guest fill at home! Our staff can't wait to see you again in the future! "Best Hotel stay I've had in years"
The hotel staff was the most accommodating and professional that I have seen in recent years. They went to Great Lengths to ensure that my stay was comfortable. The entire Hotel is extremely clean. The food from the kitchen was exceptional and affordable. The scenery from this hotel is breathtaking. Perfect venue for an event. I will be back often. The staff was amazing and extremely accommodating. We loved the views and were centrally located to all sites we were in town to visit. While in town, you must visit The Wild Animal Safari. It's a short drive from the Hotel. Thank you so much for your kind words,on behalf of our entire staff we are so glad you enjoyed your stay here at Best Western. We enjoyed having you, as much as you enjoyed being here. We strive to make each stay exceptional for each and every guest. We hope to see you again soon! Beautiful hotel inside and out!! Very friendly and helpful staff that go above and beyond to make your stay a memorable one.Stay at this beautiful hotel and visit FDRs Little White House and Museum. Warm Springs is a quaint little town to do some relaxing shopping. 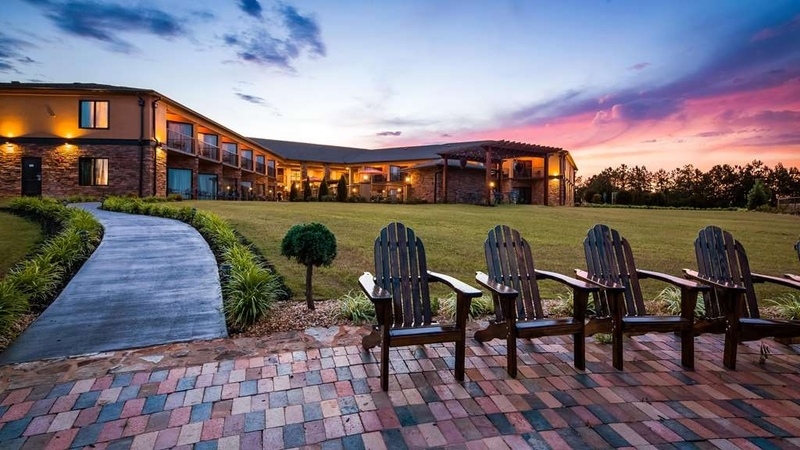 This quiet, relaxing hotel is a true gem located on the Pine Mountain ridge. The level of personalized customer service was fantastic. The owner, Kathy, was so friendly! Jadrienne was fabulous! Because they weren't too full at the time, our breakfast was customized and made to order! Afterward, I sat on my balcony and enjoyed the view of peaceful valley and watched deer grazing in the area between the huge pavilion and fire pit. In the past when we've stay overnight in the Pine Mountain area we headed up north to Lagrange but I will definitely be coming back here next time too. If it wasn't on the name out front, I'd never know this was a Best Western. This hotel is newly renovated. The rooms are large, clean, and nicely decorated. There are many personal touches and unique features in the rooms and the common areas. Beautiful views outdoors of the mountains. Every member of the staff were helpful and friendly and went out of their way to assure our stay was wonderful. Mr and Mrs. Bowie, Thank you for your sweet and thoughtful comment. We strive to provide exceptional service to all our guests and we are happy to know that we meet your expectations.You and your husband were such a delight to have! We are having a kite event the second week in January and we would love to see you and your family there! If you have any questions, please call us at 706-655-4015 and we will be more than happy to assist you. 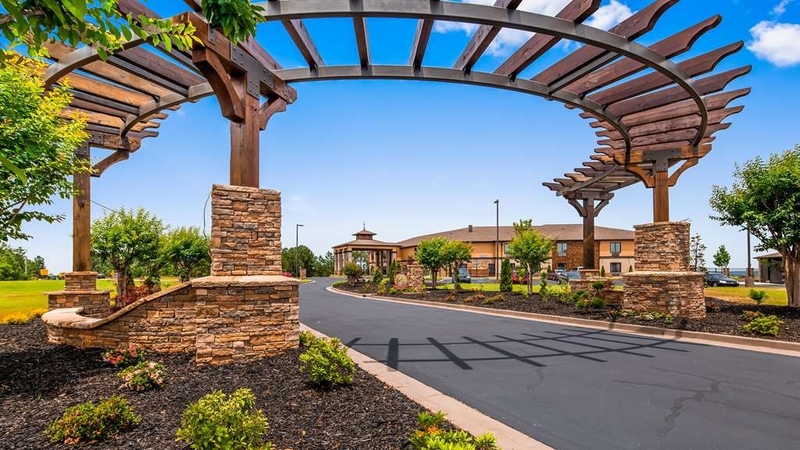 I travel between 5 states (MS, AL, GA, SC and KY), and I have never ever experienced such a great costumer service as the one here in Best Western in warm springs GA. Best ever!..I know I'll be back to this area soon and I'm not planing to look for another hotel. Thank you for your delightful and thoughtful comment. We strive to provide exceptional service to all our guests and we are happy to know that we exceeded your expectations. We are actually having a kite event the second week in January and we would love to see you and your family there! If you have any questions, please call us at 706-655-4015 and we will be more than happy to help you. Must stay in the balcony room in order to enjoy the amazing view!!! Jadrienne is an amazing staff member who provides service with a smile! It is clean and comfortable and the atmosphere is welcoming and warm. I will return with my family to truly enjoy it. Thank you for your sweet and thoughtful comment. We strive to provide exceptional service to all our guests and we are happy to know that we meet your expectations. You were such a delight to have and we hope to see you again soon! We are actually having a kite event the second week in January and we would love to see you and your family there! If you have any questions, please call us at 706-655-4015 and we will be more than happy to help you. 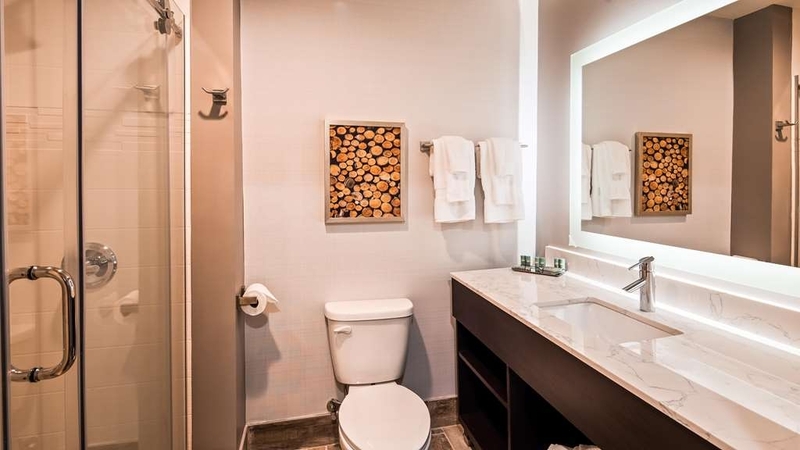 "Nice hotel in Warm Springs, GA"
Thank you for your delightful and thoughtful comment. We strive to provide exceptional service to all our guests and we are happy to know that we exceeded your expectations. Thank you for choosing Warm Springs Best Western Hotel and Event Center for your stay. We hope to see you again soon! We really enjoyed this lovely hotel. It had sweeping views out the back. There were beautiful grounds with seating to enjoy the mountains. It has a fire pit with comfy couches surrounding it, wow! Breakfast was great— good fresh food. I had a wedding about 2 miles from this hotel in late October so most of my guests all stayed at this hotel. We could not have been more thrilled with the level of service that we had. The views were amazing, the hot breakfast was delicious and the level of care that the staff gave us was unmatchable. The owner even took me aside and said that she would keep the café open for all of the late risers for breakfast. The Owner even drove my bride and her bridesmaids to and from the hotel on the day of our wedding. There is no uber or taxi service available so that that such a big help! I cannot wait to come back to this hotel! Matt, Thank you for your kind review. You and your party were a delight to have! Thank you for choosing to stay with us and we hope to see you and your wife again soon! We wish you nothing ,but the best in this new chapter in your lives. 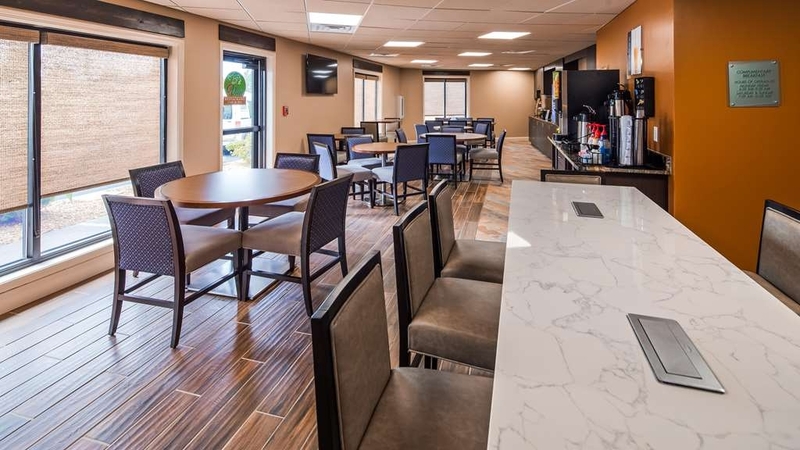 This hotel was brand new, with all of the amenities that you could dream of at an extremely reasonable price! The owners even made my kids goody bags for Halloween. There was never a no said and they accommodated every need that we had! The property boasted amazing views too! Justine, Thank you for your sweet and thoughtful comment. We strive to provide exceptional service to all our guests and we are happy to know that we meet your expectations. You and your family were such a delight to have and we hope to see you all again soon! We are actually having a kite event the second week in January and we would love to see you and your family there! If you have any questions, please call us at 706-655-4015 and we will be more than happy to help you. "Highly Recommend. Excellent, friendly service. Beautiful Property!!" This is a classy Best Western. Rooms are beautiful and updated. Well maintained. The staff is super friendly and helpful. The property is pristinely kept. 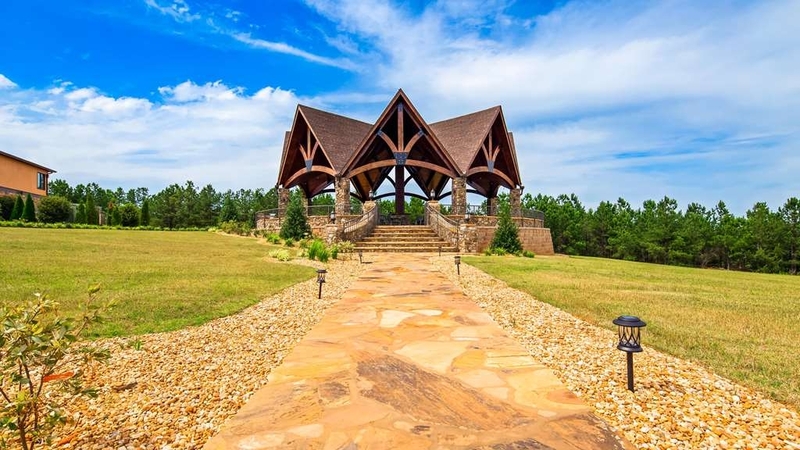 It's gorgeous and has a fire pit overlooking the mountains. I highly recommend this place if you are in the area! Thank you for your delightful and thoughtful comment. We strive to provide exceptional service to all our guests and we are happy to know that we exceeded your expectations. My wife and I are in town for a wedding and it's been a great trip. They've taken care of everything we needed. They cooked great food for us right after we checked in. Nice variety for breakfast. Wine glasses for the bottles we brought with us. Very nice place with a great view. "Best Western Warm Springs GA"
Staff were very friendly and helpful especially the General Manager. 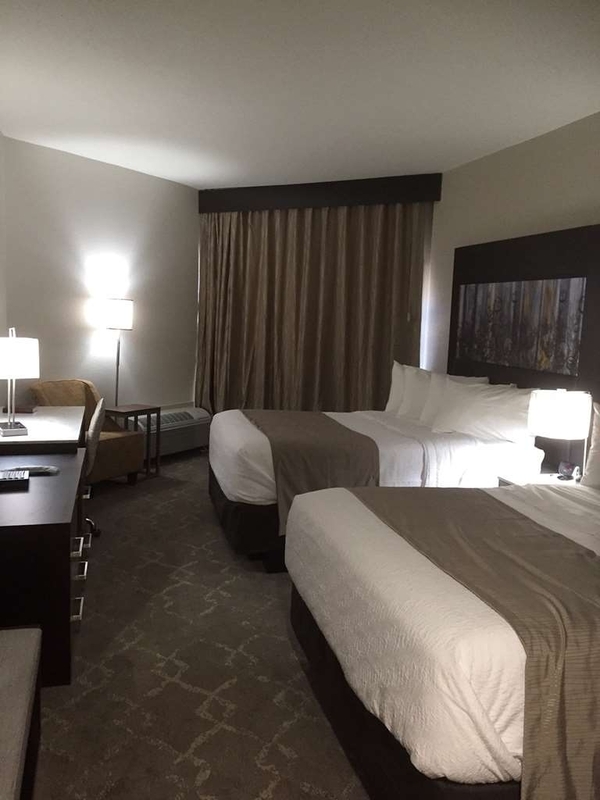 Rooms were recently renovated and were very nice. Outside amenities were an added bonus, i.e., fire pit area, pergola, bar area, etc. This has got to be one of the best hotels we've stayed at in over 40 years of traveling. The view from the Fire-pit can not be beat. The rooms are well appointed & very tastefully decorated. Beds are comfortable & generous in size. Each room has their own patio(nice!). Breakfast buffet is fairly standard but is well presented and adequate. The entire staff seems genuinely happy & gracious to assist you any way possible during your stay,a wonderful amenity often overlooked whilst traveling. We will definitely book a room here in future travels to this part of the country,how can one resist? You should stay here also! Special thanks to Lisa,she's the G.M.,and Dalton,he's the front desk guy,bartender & confidant,go meet these people. 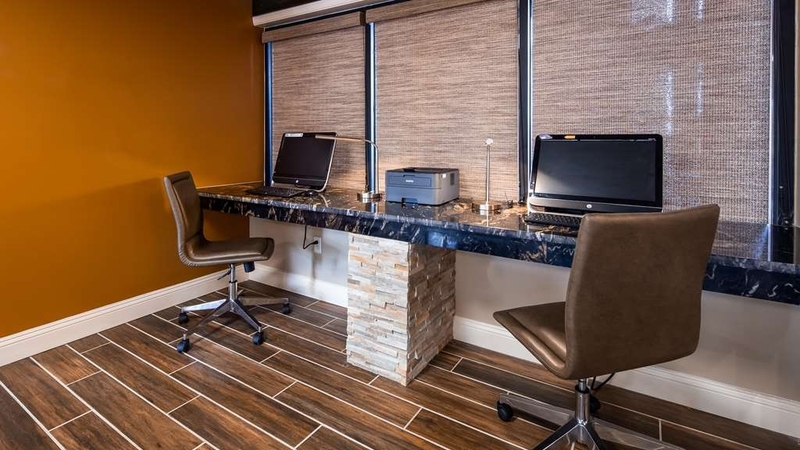 We worked with owner, Neil Patel, for months before the hotel was even complete. His goal was to make sure this was a weekend we would always remember and he and his staff definitely delivered. It was an amazing weekend in a beautiful space. I could not have been happier. The accommodations were perfect, clean, comfortable. I just wanted to stay a few more days. We checked in here late at night after not being able to find a room nearby, and were very happy with the room and staff. The hotel is only a few months old and is clean and well kept, and the view from the rear of the hotel is unbelievable...especially the sunrise. Some may consider it a little pricey, but you will have no complaints. "Best Western Warm Springs Hotel and Event Center"
We recently held our class reunion at the Best Western in Warm Springs, GA. The staff was very friendly and went out of their way to make the stay exceptional. I had a beautiful view of the hills and valleys from my room. 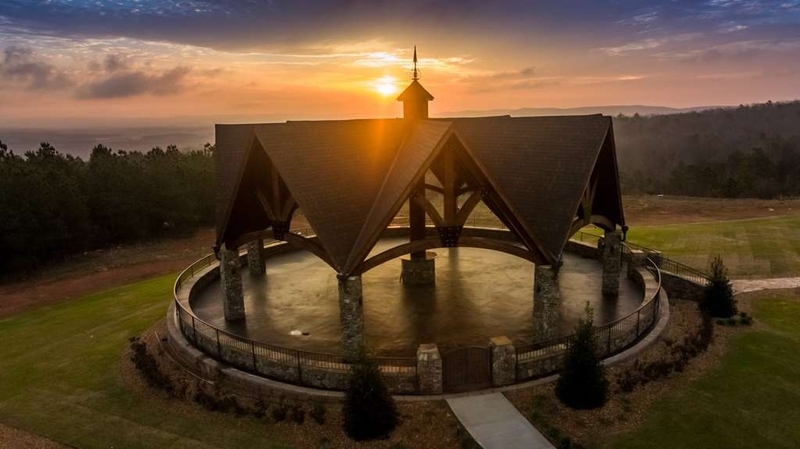 The Pavilion Event Center was both an architectural delight and the perfect location for our reunion activities (We were all commenting that it would also be an excellent location for weddings with the panoramic views as a backdrop). I definitely plan to stay here again. Recently held our 50th high school reunion at the Best Westetn in Warm Springs. Refurbished hotel is beautiful with a great staff who catered to our every need. The view from the pavilion, pool area and the rooms is magnificent. Great food and adult beverages as well. Well worth visiting of having a social function. "Beautiful Hotel with stunning views"
I cannot say enough about the beauty of this hotel and the fabulous employees. Visiting Warm Springs was a last minute decision and we did not have reservations for the night. We saw the Best Western and decided to pull in. Valisa, at the front desk was very accommodating with meeting our needs and exemplified the Southern Hospitality I had heard so much about. I would have expected to pay much more than we did as it looks like a luxury hotel. It is beautifully decorated in a rustic but modern style and the view from the pool area is stunning. Our room was very clean and the beds were very comfortable. Little details like the breakfast buffet served on beautiful stoneware dishes with stylish flatware and glasses, food cooked on sight that appeared to be made from scratch topped our stay. The Best Western in Warm Springs is an A+ hotel. The views are beautiful. From the moment we walked into the lobby we were very impressed. Valisa was at the front desk and she greeted us so warmly. Throughout our stay she was helpful in a lot of ways. Always offering to be of assistance. The manager Lisa was also there when we arrived and walked with us to our room to make sure everything was what we were expecting before we brought our luggage in. We had a beautiful, relaxing stay and are planning on returning as much as possible. 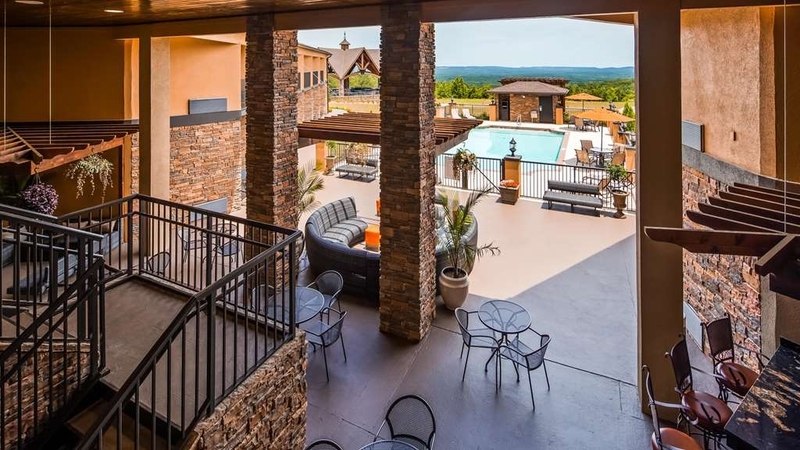 Highly recommend staying at the Best Western in Warm Springs Ga. One of the most beautiful views you can enjoy while staying at a hotel that is greatly designed. The owner knocked it out of the park with this place. Its very peaceful and relaxing. The rooms are very clean and comfortable. They had great service and a hot breakfast in the morning by the awesome staff who is very friendly . The place is perfect for a getaway or for events or even just one night stays. 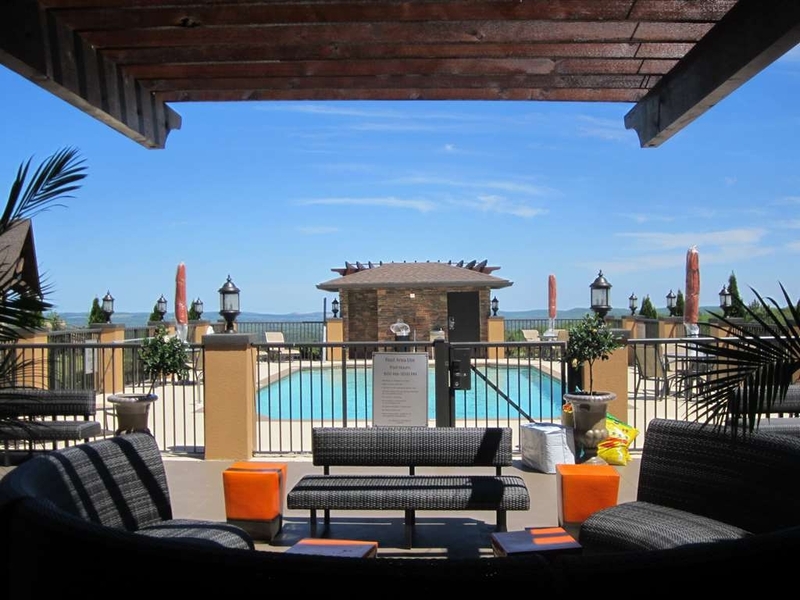 The pool area is nice along with the amazing sitting areas that you can enjoy while looking over miles of nothing but gorgeous land . This is by far the best Hotel I've stayed at!! The owner definitely went above and beyond making this place what it is. 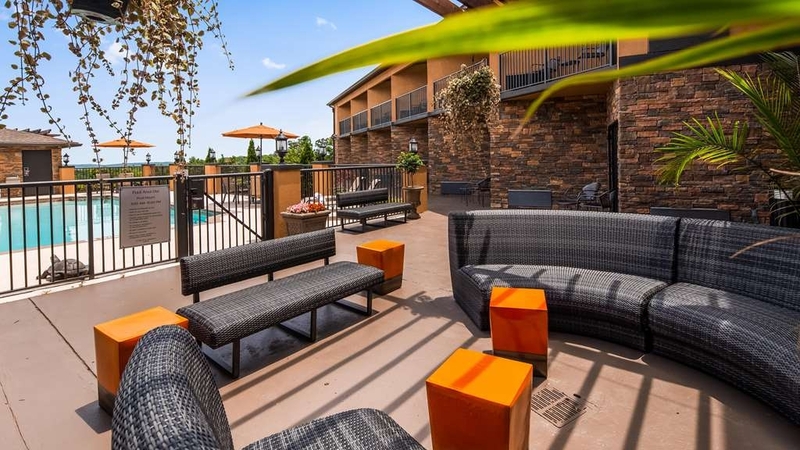 The Best Western in Warm Springs is a great place to spend a get-away weekend. The hotel has an upscale decor. The desk attendant, Valisa, was warm, friendly, and helpful. The room accommodation was very comfortable. The bed was the best I have every slept in at a hotel. The owner has created a famous place for events, overnight stays, or weekend excursions. I highly recommend anyone going in that direction to plan some time to stay at the Best Western in Warm Springs. 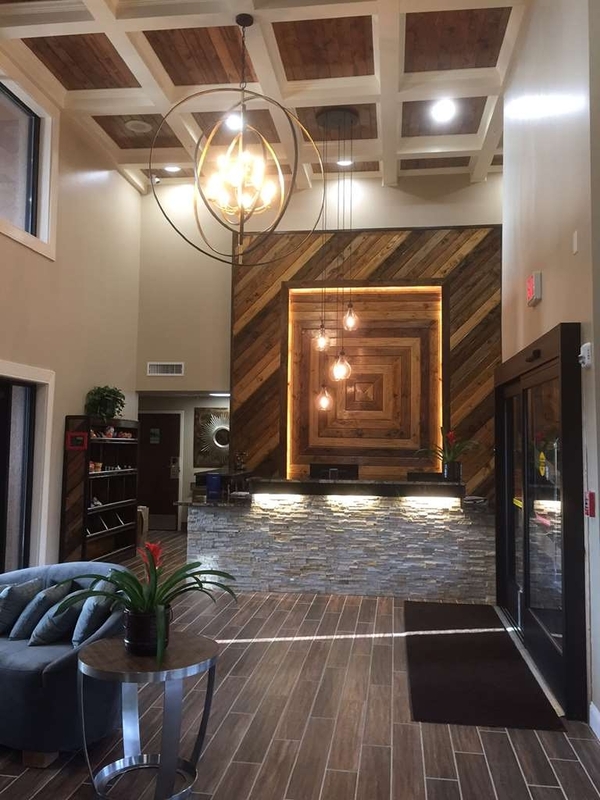 "Best Western Motel Warm Springs Ga"
This is a terrific place to stay- Lisa Thompson, Valisa, the desk attendant and the entire staff do a terrific job!! I travel in this area and will always stay here. I think this property is superb!! Warm Springs Ga is a great place to visit and stay at the Warm Springs Best Western. "Best View in middle Georgia"
I spent 6 weeks at this new hotel and it is very comfortable, the staff is warm and helpful and the view in the mornings is a new surprise every morning. The hotel design is very open and unique and the grounds and common areas are well apportioned. 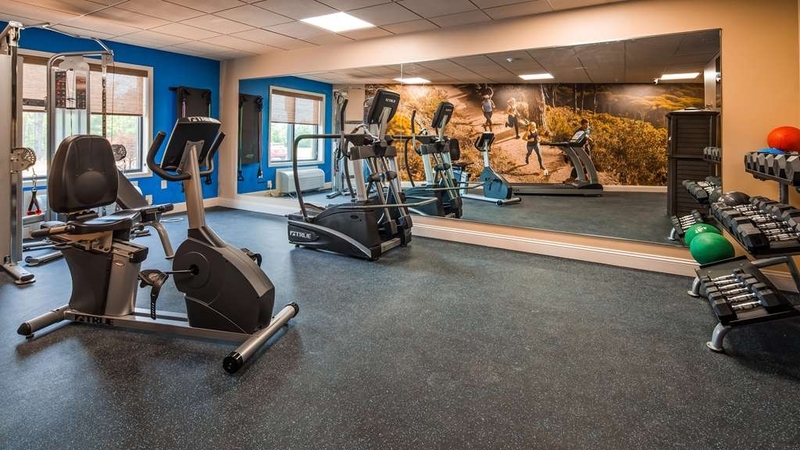 The exercise room has good equipment and the pool and pool area are very nice and relaxing. One thing you'll notice right away is the location is very quiet and if you listen, you'll hear all kinds of wildlife in the mornings and evenings, to include owls and whippoorwills. the beds are super comfortable as well. The breakfast offerings could use a little improvement, but the coffee is good. Plan your meal times early because the restaurants in Warm Springs typically close early (7 p.m.) if they're open at all. Over all, I think anyone will enjoy staying at this hotel. I picked this hotel because of the proximity to the Wild Animal Safari. So glad I did. It is a beautiful hotel and the staff was top notch. The only reason I didn't give it five stars is because everything is so new that I had a difficult time with the smells. I am sure the newness will dissipate soon and then it will be five stars. "Get place to stay in this area"
I had stayed in this area three years ago, and there were not many options. I was very impressed when I checked in at this Best Western. The staff at the front desk tools me that it had only been reopened 11 wks. The hotel was designed beautifully. There are several sitting areas underneath cover by the bar and pool. In the back is a nice fire pit and sitting area. There is also a magnificent covered reception type area. The views from this two places is just awesome. The hotel is nicely done. I will definitely have this one booked on my favorites list, if I come back through again. The hotel is a 5 star.The staff was great.It was an overnight stay after the death of my mom. It was peaceful and the views were great of the mountain! We will be returning for a longer stay.Looking forward to our get away!! This is a beautiful hotel. The rooms and property were great. My issue was that this huge hotel had only us and maybe 4 others.. I felt as if the service should have been better considering the lack of people. Not that all service personnel weren't the nicest. The bar and restaurant never opened, so disappointing. I felt breakfast was lacking since what is the sense of putting it out there for only a few people. I am sure this place is better when there are more people. Wonderful spot for a wedding, anniversary, parties, or reunion. The Pavilion is huge and beautiful. The view at this hotel is stunning. The rooms are extremely nice, good beds, nice big flat screen tv and a beautiful sliding barn door on the bathroom. Breakfast was great, with a large selection. There are lots of beautiful areas outside to sit and enjoy the view. Nice bar with good food. Mrs Carolyn and her staff were fantastic and most accommodating. They checked on us several times to make sure we were happy with our stay. I highly recommend this hotel and will be back again soon! "Wrens Dixie Youth League Robin Archer"
I have stayed many hotels this Best Western is amazing! The hotel has all the amenities you need with the most beautiful view. I can't say enough about the manager Ms. Carolyn and the staff. She is the friendliest and kind lady you will ever meet! She made sure my son brought breakfast to me in the room. If you ever just need a change oe scenery I highly recommend this hotel! Our entire team stayed here 2 weekends in a row for baseball tournaments. The staff was top notch and extremely nice! If we had any concerns they handled them immediately! The rooms were clean and the view is beautiful! A big thanks to Mrs. Carolyn at the front desk for being so awesome! I would definitely stay here again in the future. "Beautiful view, but poor layout"
The hotel is beautiful, and the grounds and pavilion are beautiful. The rooms are clean and nicely decorated. The layout of the hotel has the bar in the center, so if you want to get a good night's rest, don't stay here. The bar music is going strong until midnight and is very noisy. I reported to the staff after the first night. I complained about the music around 11:30pm and was told the music was normally turned off @ 11:00pm. The music continued. My husband called around 11:55pm and was told the music would be turned off @ midnight. I complained again @check out the next morning, and was told the manager would call me. I didn't receive a call. We joined family and friends for a night at the hotel. We had a great time! The pool was great and he kids loved running around outside. The rooms are very nice and spacious. The view from the back is beautiful into the mountains. Will recommend this place a million times over. Room was amazing and the view from the pool was breathtaking. As soon as we can make another trip within an hours drive from there, we will most definitely be staying there again! The hotel is pristine. The rooms were beautifully made and in perfect condition. The staff are kind and friendly. Couldn't have asked for a better nights sleep. While we were enjoying the pool we were treated to the most spectacular rainbow I have ever seen. I only wish my camera had been up to the task of capturing its majesty. Great rooms, awesome views, great staff who are super helpful and friendly. Complimentary breakfast in the mornings, food was okay not a huge selection of food but coffee was pretty good. Beds were super comfy. Carolyn was very nice and helpful when we made reservations and at check in. Valisa helped us with a vehicle registration proble. When unable to fax from the hotel to our tag office, she took it to another location and tried to send it. After all the trouble she went to the problem was on the other end. Beautiful and comfortable. Breakfast was great. The view from second floor was breath taking. Plan to be back real soon. This is a pretty new hotel and I just loved the lay out. The rooms are what you expect in a hotel stay, the tv really nice flat screen that was just like watching satellite at home. Very unique bathroom door for a hotel and beautiful. 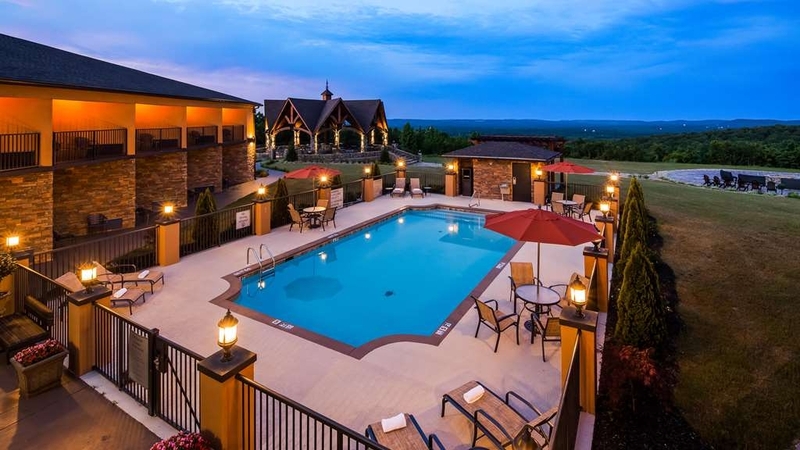 They have several rooms overlooking the outdoor pool area and many places to enjoy sitting outside around the huge fire pit and a massive gazebo with great Mountain View's. I really wish we would have been here for more then one night. The breakfast is really good with a nice selection. I must also say the staff was wonderful, friendly and very helpful. I will for sure stay here next time I am in the area. You did a great job with this one Best Western. "Great Venue for an Event!" This hotel was the perfect place for an event. The hotel staff and ownership were great to work with. 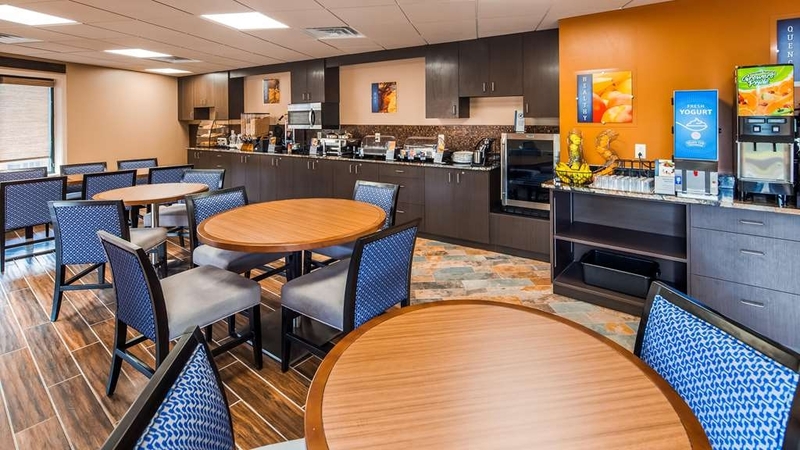 The facilities are brand new and décor is perfect. 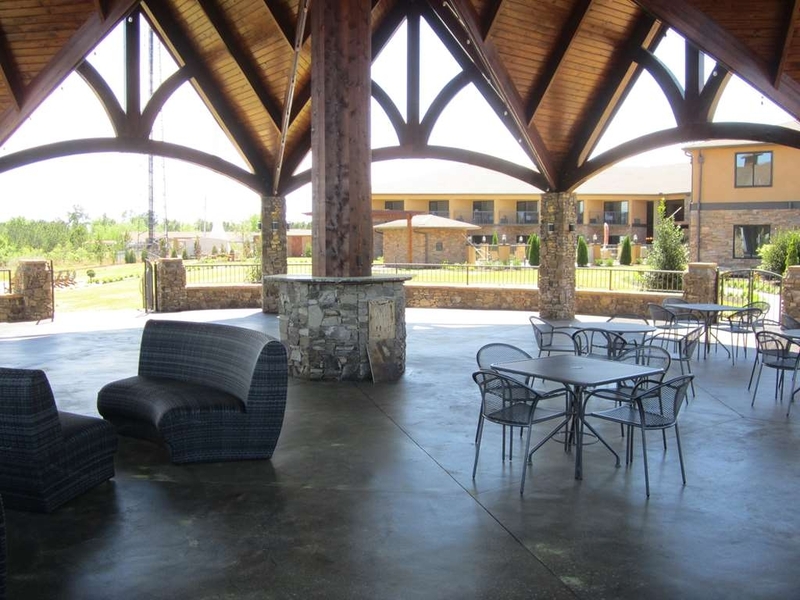 All of our guests were very impressed with the hotel, pool, large gazebo, firepit, and rooms. We all enjoyed the views of the valley and beautiful Pine Mountain. I would highly recommend anyone wanting to have a family reunion, wedding, or any event to strongly consider this hotel and event center. 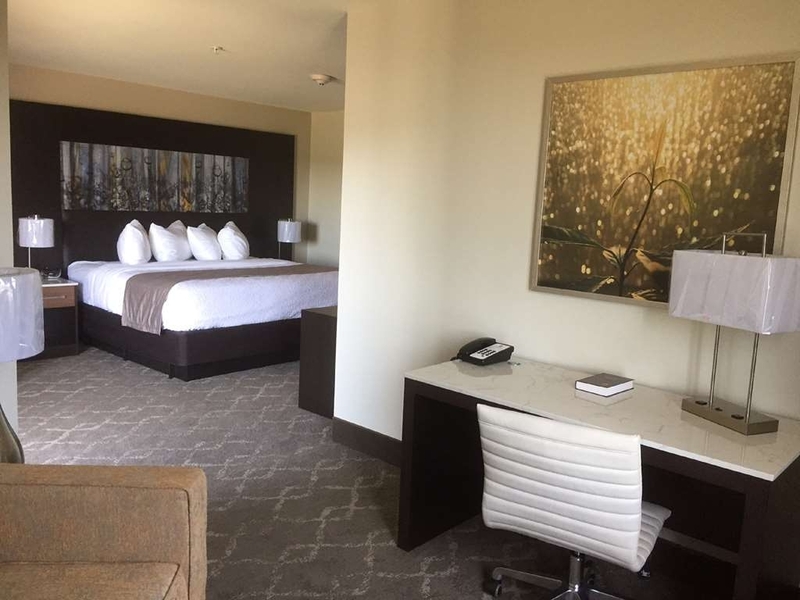 Beautiful rooms, wonderful views, and excellent staff. It's in the middle of no where but worth it! We spent a weekend out there, very nice place to get away from the world for a while. Definitely recommend. This place was awesome!!! It's a bit out there, but the hotel is fantastic! Everything is brand new and looks great. The view out back is just gorgeous and the pool is amazing! 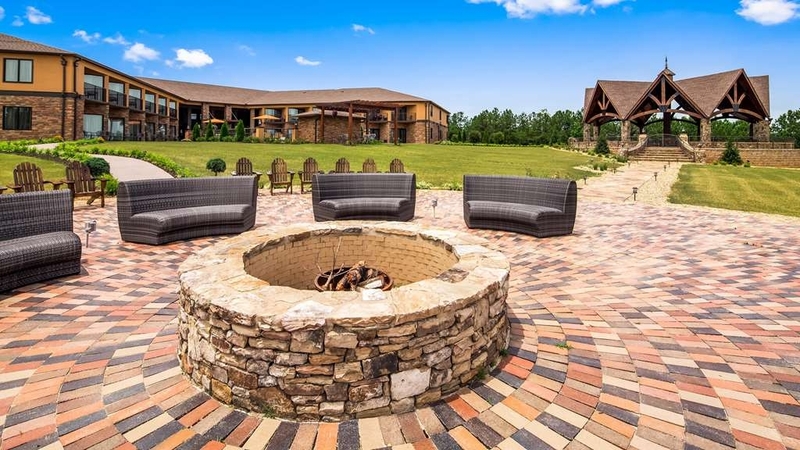 The fire pit makes a great hangout to have a drink or two with friends. This remodel was well thought out and is easily one of the nicest hotels I've stayed at. The staff works very hard and are very accommodating. They we're extremely pleasant to work with and very helpful and kind. 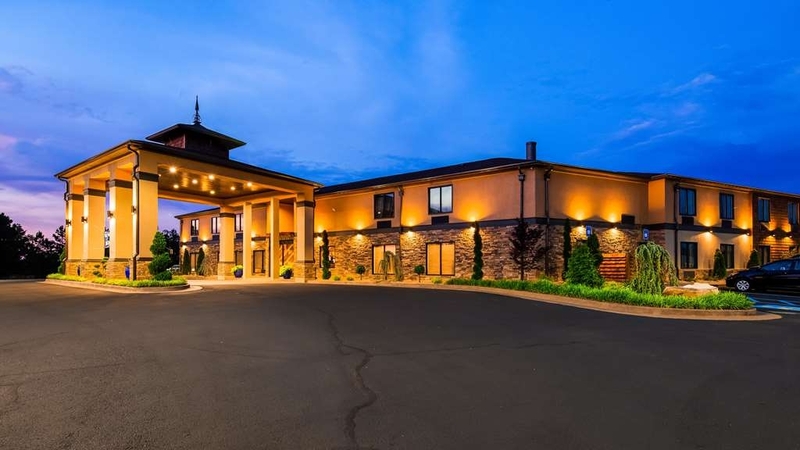 "Wonderful hotel for family, friends, and corporate events!" The rooms are great! I loved the sliding barn doors in the bathroom! We stayed in a room on the first floor with walkout access to the pool area and a beautiful view of the hills. The pool, the firepit, bar area, and pavilion were wonderful! Perfect for family or corporate events. Staff was welcoming and attentive. I highly recommend this hotel and we will definitely return. 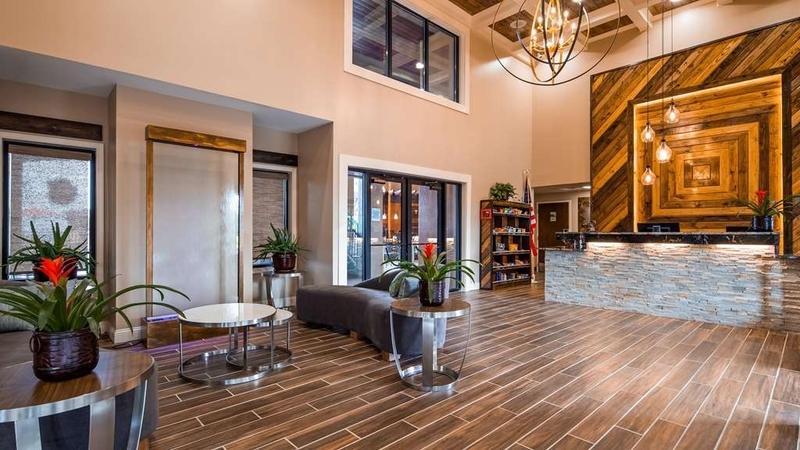 The recently reopened Best Western in Warm Springs is just gorgeous. The rooms are so beautiful and have these great sliding barn doors in the bathroom! The pool is gorgeous! Carolyn at the desk was soooo friendly and accommodating hopefully you get to meet her!! I highly recommend this for an overnight or having an event with family or friends. It would make a GREAT space for a wedding too!! "Great Stay at beautiful hotel!" Everything about our stay was exceptional. The hotel is absolutely beautiful and so very clean and tastefully decorated. The location and views are gorgeous. When we called to make a reservation, we had the pleasure of talking with Lisa, who was so very nice and helpful. The front desk staff is awesome; check in and out was easy. Dalton is a very nice young man who is so personable and nice. Valisa was great at checkout. Breakfast was really good with lots of options. Overall, a great stay. We would definitely stay here again when we are in the area. 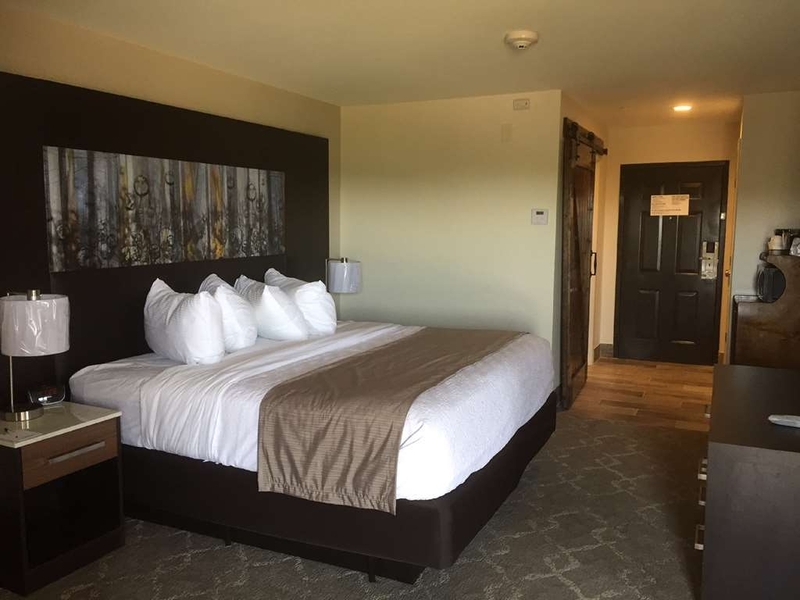 Had planned a trip to warm springs and saw this wonderful new hotel and decided to stay a night.......guess what we loved it so much that we extended our stay for 3 more nights. Amazing mountain top resort with rooms overlooking valleys... amazing room furniture... sliding doors for bathrooms.... pillow top mattresses..... full hot breakfast .... amazing staff and the list goes on. We were in a small group so management allowed us the use of a grand pavilion they have overlooking valley which is ideal for family reunions and weddings. Construction of that is like the 8th wonder of the world. We have vowed ourselves to come back again every year with more family and friends to stay at this amazing place. "OUTSTANDING! I will definitely be going again, very soon!" Any attempt to give an accurate description that would paint the true image of this outstanding place, would be in injustice! In order for the essence of this special place to be experienced in its true form, one will need to actually visit, walk the grounds, see all of the special things placed strategically throughout the facility. There is not only beauty in the architectural structures, the placement of special points of use and interest, but the feeling one gets in the serene spirit that resides there. It is an experience, not just a place to sleep. The breakfast that was served, consisting of your true southern fare, was served up to please even the fussiest of palates. The friendliness of the staff made one feel as though they were at home in total comfort, and that you were the only one there. Brand spanking new, beautiful hotel/resort. Absolutely had the best customer service ever! Lisa, Valisa, Carolyn couldn't have been any sweeter or more helpful. Restaurant and bar were not open yet but good places to eat close by. Full breakfast though. Comfy beds and nice decor. Loved the fire pit area overlooking the valley where I watched the sunrise every morning. Don't hesitate to stay there. "Man o man.... what a wonderful place "
"Brand new and amazingly beautiful hotel in warm springs"
Nestled in historic warm springs GA, this is a rare gem. 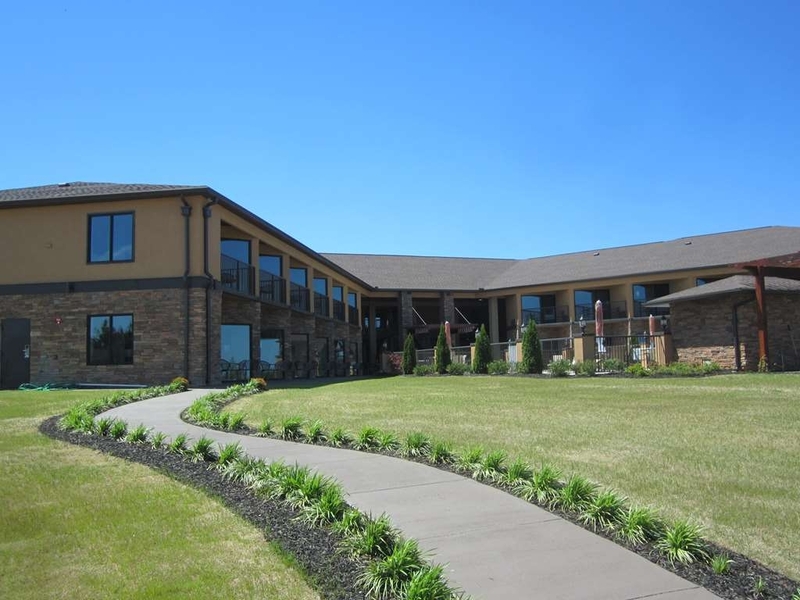 It's a full resort type property with event center and six acres of pristine mountain top location. 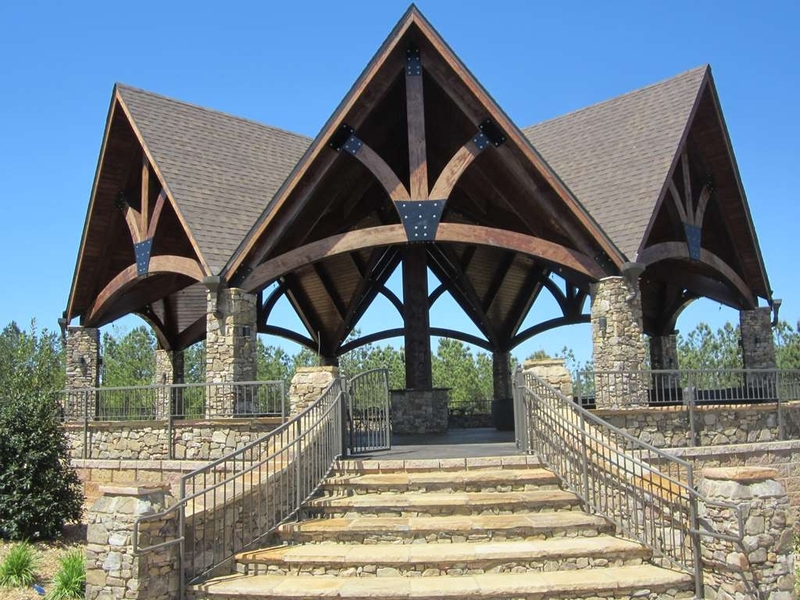 The pavilion is an amazing outdoor space to host events like weddings, reunions and parties.... soon to join Is "the view-restaurant/cafe and bar. Rooms overlook the valley and have patios where you can watch nature all day long.